KHOTANG, JULY 27: Three years after 2015's devastating earthquake, more than 2,000 quake victims from Khotang have received the second installment of the housing grant provided by the government. According to District Level Project Implementation Unit, National Reconstruction Authority (NRA), 2,401 earthquake victims have claimed the second tranche of Rs 150,000 each. The first installment of Rs 50,000 targeted to provide the funds necessary for Damp Proof Course (DPC), was provided to 8,173 beneficiaries on June 2, 2017.NRA started distributing the second installment of the relief to the quake victims in the district from May 13 for the construction of their houses. Out of the two municipalities and eight rural municipalities in the district, the highest number of beneficiaries of the relief amount belong to Halesi Tuwachung Municipality. Of the 2,401 earthquake victims who have collected the second installment of the relief fund, 800 are from Halesi Tuwachung Municipality, 416 from Diktel Rupakot Majhuwagadi Municipality, 291 from Diprung Chuichumma Rural Municipality, 192 from Khotehang Rural Municipality, 173 from Barahapokhari Rural Municipality, 153 from Jantedhunga Rural Municipality, 149 from Rawabesi Rural Municipality, 92 from Sakela Rural Municipality, 91 from Kepilashgadi Rural Municipality, and 46 from Aiselukharka Rural Municipality. The victims expressed their dissatisfaction over the delay in the distribution of the relief. “The huge gap between the distribution of the two installments of funds has made it very difficult for us to construct our houses,” said Tej Nath Dhakal, an earthquake victim from Diktel Rupakot Majhuwagadi Municipality.Many of the earthquake victims built their houses with their own money due to the delay. Most of the construction works of the houses of the earthquake victims who could not financially afford to get their houses built are now in chaos. 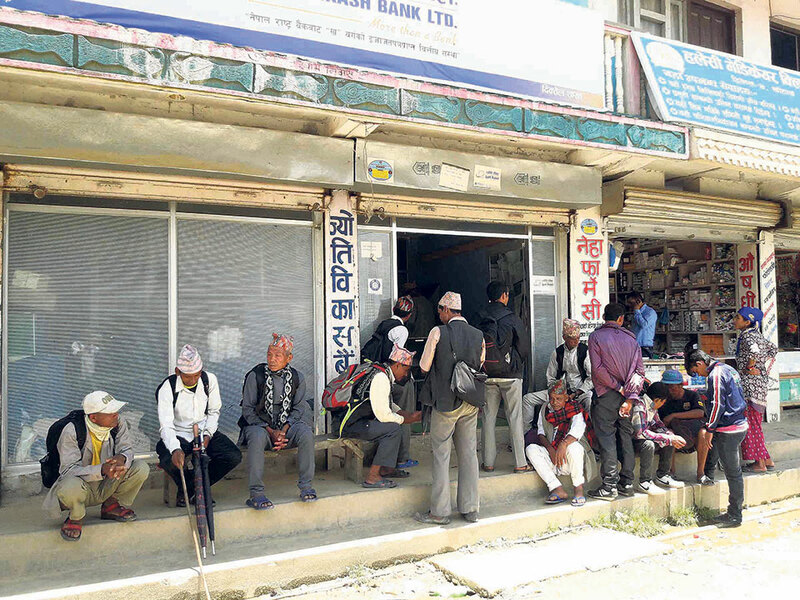 Locals accused NRA of not sending adequate number of engineers, the engineers of not doing their job properly and delay in establishment of District Level Project Implementation Unit of NRA as the major reasons behind the delay in the distribution of the relief fund.NRA has made the arrangements for the distribution of the funds from Diktel branch of National Commerce Bank, Salapa Development Bank, Jyoti Development Bank, Bank of Kathmandu and Century Bank.